So here’s my review of the body scrub which came in the same set. 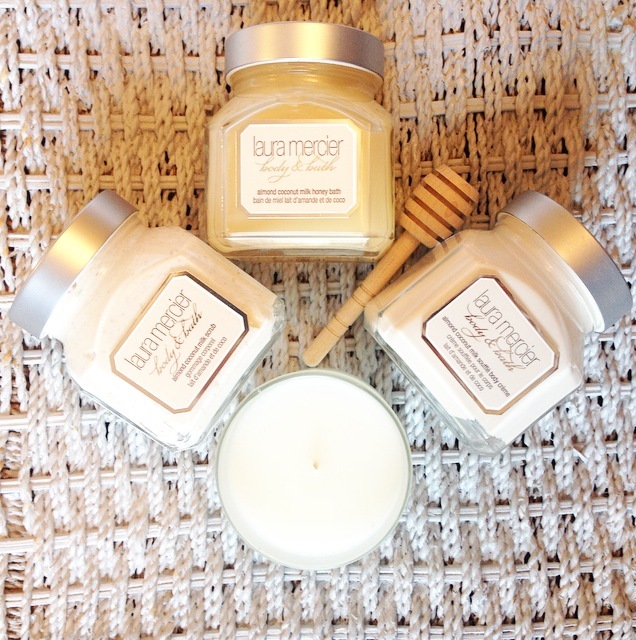 Laura Mercier Almond Coconut Milk Scrub is a polishing scrub with sugar granules and exfoliating beads to gently sloughs skin as well as clarify and tone. The Creamy texture removes dead skin cells from the skin’s surface leaving skin soft and silky. Macadamia Nut and Sweet Almond Oils moisturize, Vitamin A&E protect and soothe. Can be used every other day, but mild enough for every day usage. Almond Coconut Milk is a warm, rich fragrance with powdered sugar, vanilla extract and a hint of cinnamon. Includes notes of vanilla mousse as well as vanilla meringue. I love the luxury look of having a body scrub in a glass jar, looks great in my bathroom. The almond Coconut Milk is a seductive, warm and comforting which is a rich and alluring experience. The texture is quite different to what I normally experience with body scrubs. It contains exfoliating beads and sugar in large chunky pieces, the cream is quite gooey, almost like a thick creamed rice pudding! 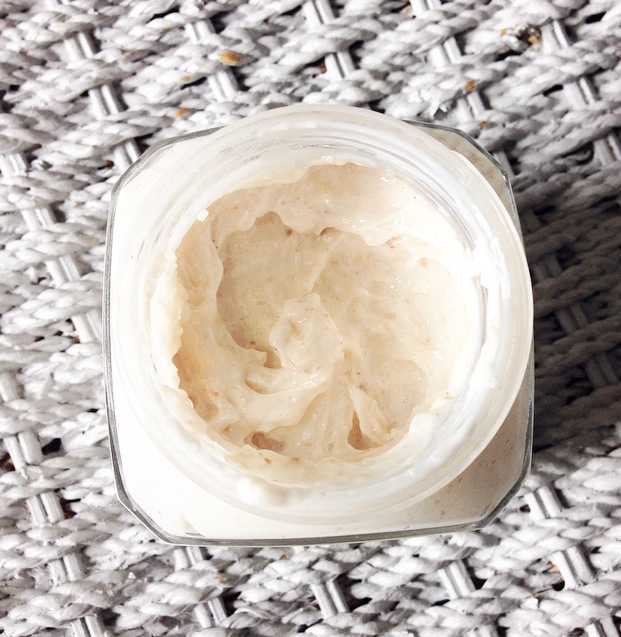 At first I wasn’t sure if I would like this kind of gooey texture on my skin in the shower…well all I can say is that it is “different” I’m not in love with it but it certainly does leave my skin feeling polished and silky smooth as it promises and a delicate aroma lingers on my skin. I personally prefer body scrubs with a paste like texture and rounded small exfoliates rather than big chunky rectangular shapes. It does smell delicious, so dreamy. Hmmm now you’ve inspired me to seek out the pistachio one to take a whiff!